Amenities will open as construction is completed and may not be available at the time of move in. Beyond your front door, The Lively Indigo Run gives you plenty of opportunities to take your luxury living experience to new heights. 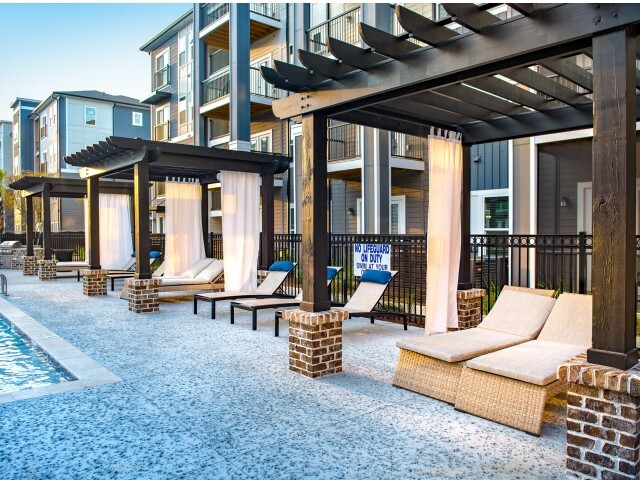 When you live at The Lively, you are given an all-access pass to your own private getaway. 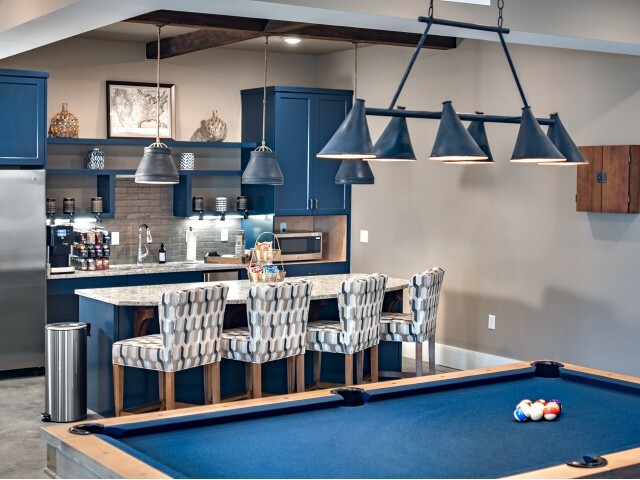 Each of our well-appointed community amenities has been expertly selected for your living enjoyment. 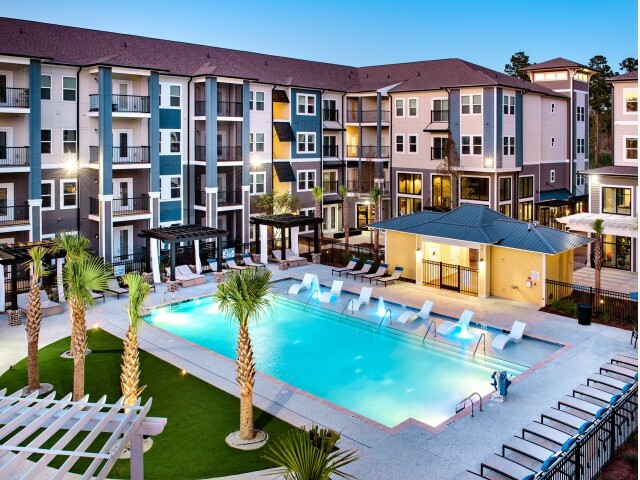 Outside, you can take advantage of features like a cozy fire pit, a resort-style saltwater pool surrounded by lounge-inspired daybeds, and gas grilling stations. We want you and your four-legged family members to enjoy our outdoor features, so we also offer an on-site bark park, professional dog washing stations, and the option of a private yard. Other impeccable features transform The Lively Indigo Run from an apartment community to a living destination. 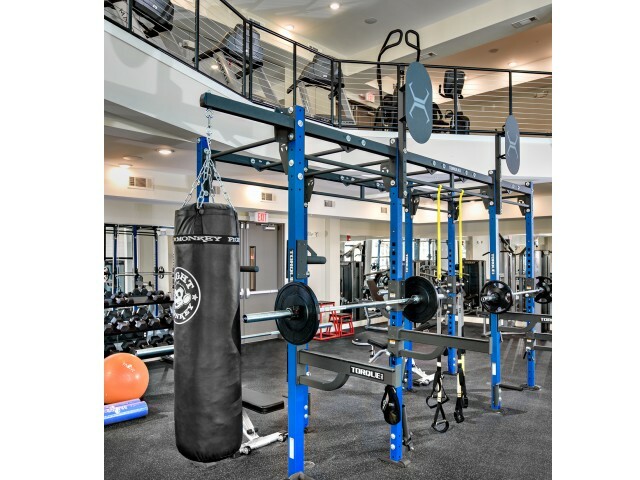 Our two-story, state-of-the-art fitness center features functional training equipment and plenty of room to move. A business center and our resident lounge will help you find the perfect work/life balance. Our community building also offers a professional demonstration kitchen so you have a place to host your next big get-together. Don't miss out on everything The Lively Indigo Run has to offer. Fill out an application now to reserve your spot at our Ladson-based community.